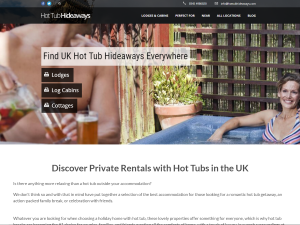 Hot Tub Hideaways is the UK’s number one online resource for lodges and cabins with hot tubs. Discover amazing secluded log cabins across the UK! For lodges start here, and find out more about Hot Tub Hideaways on this page.